Back to school is here bringing with it the hectic pace of schedules, school activities, and sporting events. From the time my feet hit the floor in the morning until the evening comes, I am running full steam ahead! I rush off to work, where I spend a hectic day, and possibly work over, only to find that my daughter needs to go here or there for school activities or a sporting event. It is rush, rush, rush! By the time we get home in the evenings, the time has flown by. I have very little time to prepare a good dinner to satisfy our growling stomachs. However, thankfully I have discovered Foster Farms! 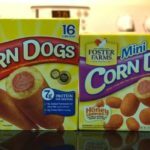 I can still Rule the Roost with Foster Farms 30 Minute or Less Dinner Solutions! 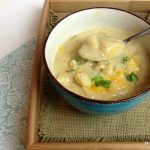 Cheesy Crock Pot Potato Soup: A Creamy, Delicious Comfort Food! 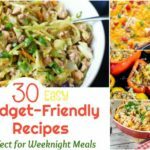 When the weather starts cooling down, it’s the perfect time for soothing comfort foods! And, I can never seem to escape the weather change without getting a major case of the sniffles! Whether it is the cool air or being sick, there is nothing I love better than a nice hot creamy bowl of soup to help me feel better. One of my favorites is this easy Cheesy Crock Pot Potato Soup Recipe! Sausage, Egg and Cheese Breakfast Muffins Recipe: The Perfect Easy Breakfast! When the alarm clock blares it’s glaring sound in the mornings, it is total chaos! Everyone is rushing here and there and trying to prepare for the workday or school. In all the chaos, who has time to cook a substantial breakfast? It certainly isn’t at our house?! 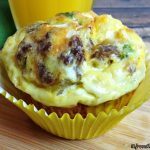 However, with this amazingly easy and simple Sausage, Egg and Cheese Breakfast Muffins recipe, my family can have breakfast in the bag! At the end of a busy day, there’s still that age-old question of “what’s for dinner”. Dinner is the last thing you really feel like doing, but the family must be fed. 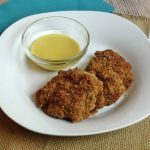 Today, I have an easy Oven Fried Chicken with Homemade Honey Mustard Sauce to share with you! 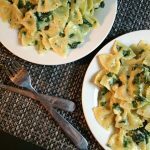 It is super easy to prepare and then pop in the oven and wait! It comes out juicy and tender!